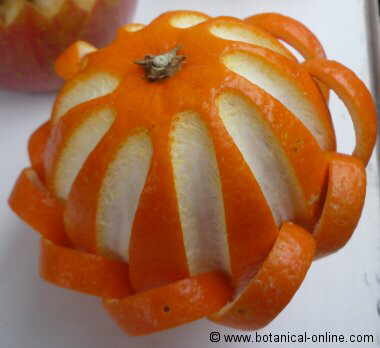 Oranges are the fruits of orange tree (Citrus x sinensis). They have been recognized for some time very interesting for health due to their high content of vitamin C.
A medium orange weights about 128 gr. It contains 58.6 mg of vitamin C, which represents 65.2% of the daily recommended dose of 90 mg for an adult. 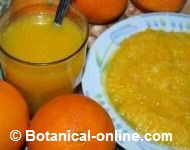 Regular consumption of oranges ensures that our daily requirement of vitamin C are almost satisfied. 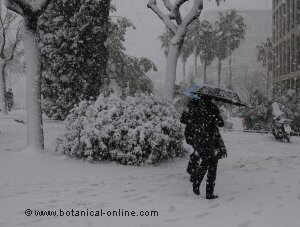 Especially in winter, when the orange trees are in full fruit production, consumption of this fruit guarantees less severe and shorter colds. Although vitamin C, contrary to what was thought until recently, does not prevent colds, it strengthens the body to diminish the cold symptoms and recover from it earlier. We must not forget the importance of this vitamin as an antioxidant in the prevention of many degenerative diseases such as vision loss, cataracts, hypertension or deafness. Oranges are not the elixir for eternal youth but, without doubt, the presence of lot of vitamin C, along with other antioxidants, such as its high content of vitamin A as beta carotene, and lutein, make it an ideal food for protect the body from degenerative diseases. Oranges, lemons or with grapefruit, have been widely used in the diets of rejuvenation. In addition, its high content of vitamin C and other antioxidant components, this fruits is very alkaline, so it helps flush toxins from the bloodstream, eliminate uric acid and thin the blood. 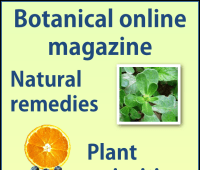 This cure is used to mineralize the body eliminate toxins and purify the blood. This diet is made as lemon diet and has similar properties, although it is better tolerated for people with sensitive stomachs. It involves taking an orange juice diluted with water. Gradually increase the dose, adding a daily orange up to 11 or 12. Reverse the process to get back to a daily orange. Eating plenty of oranges while suffering a disease is a good way to promote recovery. Students should introduce this fruit into their diet, since this food can give them energy and help them concentrate more on their studies, offering better school performance. It is believed that orange also helps improve partner relations by promoting increased libido. 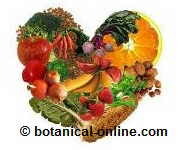 The truth is that vitamin C seems to have a positive effect on all the glands of the body. Oranges are rich in bioflavonoids, which have recognized anti-cancer properties. 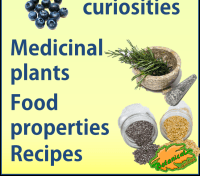 Among them, one of the most interesting is hesperidin. Orange is the fruit that contains a higher hesperidin proportion, after lemon. This component, because of its protective properties of the capillaries improves circulation, so it is useful for the treatment of varicose veins, or hemorrhoids. Other bioflavonoid that deserves to be mentioned and which orange is the food containing more is naringenin. Its properties are similar to hesperidin. 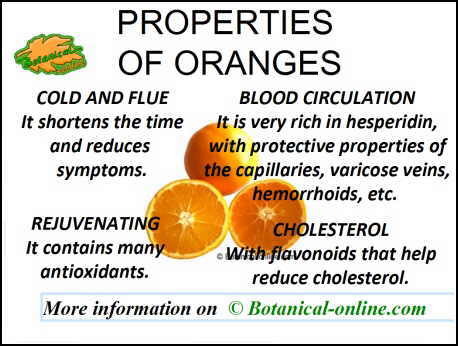 These and other principles, as well as flavonoid rutin, are in the orange epicarp, that is to say, on the white layer that lies between the skin and pulp. It is interesting, then, to squeeze the oranges and drink the liquid where these components are. People who do not wish to drink orange juice should know that in addition to flavonoids, this fruit contains other principles that have been also attributed with similar properties. 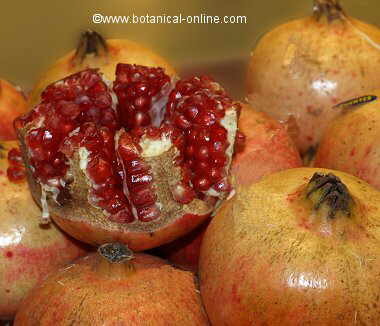 Most of them are in the pulp, such as limonene, which provides these fruits their characteristic odor. hesperidin. 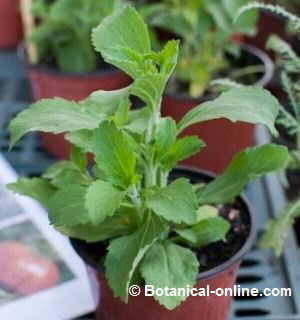 as it has also been proved, can also inhibit the growth of certain types of cancer cells, such as breast or mouth ones. Bsides, vitamin C, fiber, limonene, pectin or amino acids such as serine or alanine are compounds with recognized properties against cancer cells, which can be obtained eating oranges. Their consumption is recommended as prevention and treatment of colon cancer, and could be useful in preventing breast cancer. Orange is one of the heart-healthy foods. 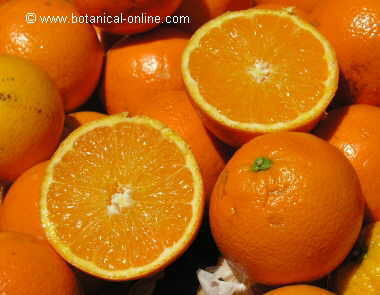 Oranges protect the body against cardiovascular disease. The reason for this property is both in its ability to lower blood pressure or hypertension, and in its power to prevent the formation of thrombi in arteries. Eating oranges helps improve circulation and protect against strokes and heart attacks. It has commented its ower to reduce low-density cholesterol (LDL) responsible for poor circulation and one of the determining factors in the development of vascular disease. Although hesperidin is able to reduce the levels of bad cholesterol, it appears that the protective functions of the circulatory system should be attributed to the antiplatelet properties of orange (ability to thin the blood to prevent the emergence of thrombi) instead to its anticholesterol properties. Oranges contain the necessary folic acid (vitamin B9) for proper cell function and the good condition of the heart and nervous system. Pregnant women should eat oranges, since folic acid protects their fetuses against spina bifida disease, a congenital malformation caused by improper growth of the baby. 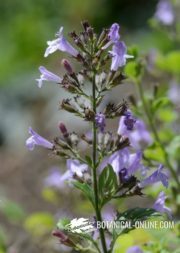 This component is necessary not to develop megaloblastic anemia (a type of anemia that is caused by lack of this component), to combat depression or to prevent premature hair graying. Oranges contain calcium, necessary for the formation of bones and teeth, and potassium a mineral that is necessary for fluid balance in the body. It is his wealth in potassium, along with its high water content and being low in sodium makes orange a very suitable food in diets for weight loss. Oranges are low in calories, being very diuretic, help eliminate fluid from the body, so they are very suitable for the treatment of obesity and fluid retention. In addition to calcium and potassium, oranges contain phosphorus whose balance with calcium is essential for good cellular health. The lack of this element can lead to general weakness, bone or muscle weakness, teeth problems, lack of interest or anorexia. 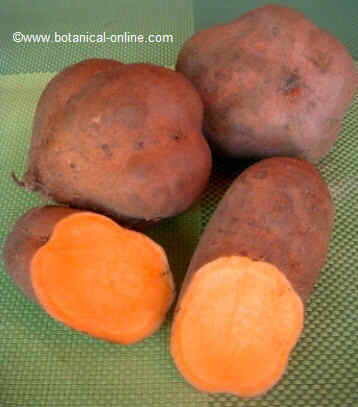 Its richness is high in magnesium, which is useful for heart health or good muscle development. Its deficiency can cause immune problems. Sulfur content guarantees, with the help of folic acid, good healthy nails and healthy hair. Orange helps sleep and feel happier.